“The stories in Come Back Irish are full of smart women and the stunning dance they do when the music is wrong men and bad decisions. Wendy Rawlings has written a sharp collection rich with mordant humor that colors her honest take on the tender estrangements that radiate from love and family. This book brims with arresting observation while it builds a world at once authentic and dear. This confident and well-written book is a pure pleasure.” —Ron Carlson, author of Plan B for the Middle Class and The Hotel Eden. 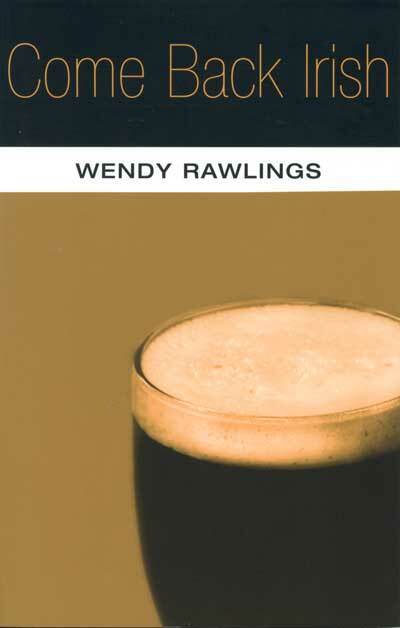 “When your world isn’t working, you invent one,” says one of Wendy Rawlings’s characters in her new collection, Come Back Irish. In fourteen expertly crafted short stories, Rawlings takes the reader along for the ride as her characters try to invent new worlds in an effort to deal with how their lovers, ex-lovers, parents, and children have reinvented their own identities. Some must go home to live with parents after a failed relationship or cope with a child growing distant; others face the rejection of motherhood or their marriages falling apart. With an engaging style that combines playfulness and raw emotion, Rawlings tells stories with insights that are both heartbreaking and hopeful. Ranging from Long Island to small towns in Ireland to Colorado, Come Back Irish vividly captures the struggles of being a parent, a child, and a lover. Wendy Rawlings is an assistant professor in the Creative Writing Program at the University of Alabama in Tuscaloosa.